With social networking taking on a whole new level of fame, it was only a matter of time before the world's largest search engine got in on the fun. According to both companies, Google is acquiring Helsinki, Finland-based mobile social-networking provider Jaiku. Jaiku is best known as Twitter's main competitor, but the company identifies itself as an "an "activity stream and presence sharing service that works from the Web and mobile phones." "Exciting news: Jaiku is joining Google! While it's too soon to comment on specific plans, we look forward to working with our new friends at Google over the coming months to expand in ways we hope you'll find interesting and useful. Our engineers are excited to be working together, and enthusiastic developers lead to great innovation. We look forward to accomplishing great things together. In order to focus on innovation instead of scaling, we have decided to close new-user sign-ups for now." But Jaiku wasn't alone in the announcement. Soon thereafter, Google announced the acquisition on the Official Google Blog: "We wish a hearty Google welcome to Jaiku, and are looking forward to working together on new and innovative ways of keeping people connected." The acquisition of Jaiku was not the first move made by Google to firm up its social networking offerings. 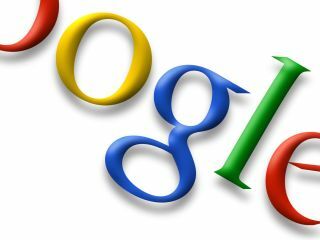 Late last month, Zingku, a mobile social networking service, announced that Google was acquiring its assets. A Google representative later confirmed the deal by indicating the company inked a deal to purchase Zingku, but the transaction was still open. Back in 2005, Google acquired Dodgeball, which allows users to link up with each other using text messages sent with the help of mobile phones. Unfortunately, the company was practically ignored and its founders left Google in April. Jaiku or Google announced no details of the terms or purchase price, but the takeover is expected quite soon.